So, you want to go hands-on. The biggest argument against resume writing services is the irony that most people let others write for them to make the best impression to the employers when they have all the tact and information to make themselves look impressive enough. Right. Why should you hire somebody to advertise you when you yourself know well of your assets and key competencies? Let’s admit the fact, resume writers will only write the information you feed them. They may weave the details elegantly, but we bet that the application will appear a bit not like you. So you ask for several revisions. And when revisions are too tiring for you, you then opt to write your own resume. However, there are still big risks of composing the application paper by your own. You may not have all the prowess to put the right words that will woo the employers. And another thing, you may not have enough expertise about what the hiring personnel wants to see in your copy. How many companies have you worked for? If you’ve been hired many times, that’s a good thing for you. You might already have a grip regarding what hiring managers look for in a job candidate. On the other hand, if you’ve been rejected too many times, you might be committing some application mistakes. If you wish to write your own resume, you still have a lot to research from online career information portals to your resume contents. If you possess excellent diction and good grammatical constructing skill, then you’ll be fine to craft the document that will either make or break you in a short span of 20 seconds. It’s better to be sure. If you’re not really into pushing the pen, prepare to have a trusty professional by your side. The fact is that aside from painstakingly choosing and weaving together the content of your application paper, you still have to revise and proofread. You also need somebody who will review your copy without any bias. This is not too much of an issue. There are actually certified professional writers who offer to do the job for less. However, if you have a wide variety of posts to apply for, only opt to relay the difficult ones to others. Just don’t pass the same document for two different jobs even if they are related. We’ve heard whines about too much expense when it comes to application, so it’s up to you to have the grit to write your own resume or spend a bit more to seek professional help. Is it an opportunity of a lifetime or just another job? If the career is very important to you, then invest in whoever you trust more when it comes to writing your copy. If it is yourself, take time reading articles with references to hiring managers on your field of endeavor. Fill your mind with lots of examples and unique words and phrases. If it is a career professional, prepare to invest some bucks. Research on who provides the best services because not all of them are equal when it comes to tact. 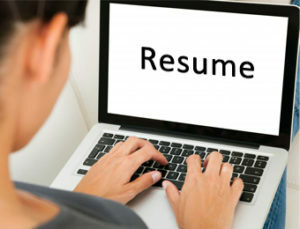 Deciding to write your own resume is a hit or miss situation, so gear up with information and knowledge and templates. There’s no such thing as random success except in lottery tickets.